After blogging for a couple of months now, I thought it's time to take this to the next step. Testing the theories of online marketing. I have seen and heard the all too familiar phrase now and the curiosity has piqued. You know what phrase I mean, yeah? "Make money working from the comfort of your own home!" How many times have you heard that phrase? I've heard it more often than not and decided to look a little bit more into it, who knows and what could it hurt? I found that it's used so much because marketers know that staying home and making money is the fondest dream of millions of people. So when someone offers an opportunity or plan for you to take your job and shove it, yet still make enough money to live and pay all your bills, it sounds blissfully irresistible, doesn’t it? Of course, bliss and reality are always two different things. Is it really possible to run a business from your own home that is more than a hobby or source of part-time income? Can you get rich working out of your own home? Well, I certainly wouldn't say rich, but I make claim that it helps to get ahead. Believe it or not, home-based businesses are one of the fastest growing kinds of enterprises today. We live in a unique time in history. Satellites, fiber optics, the integrated circuit and other communications miracles means that you can be just about anywhere in the developed world and establish communication with anyone. If you're anything like I am....sorry, was...you'd still be pretty skeptical about whether or not all the spiels were just wishful thinking. I can say now that it is true! 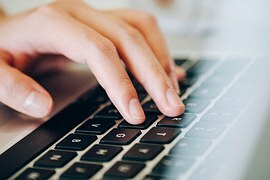 Online income can be gained through surveys, focus groups, affiliate programs, freelance writings, product reviews, article submissions, monetized blogs…the list could go on! So, how do you go about it? I hope to be able to help you with that and also share my experiences along the way, good and bad. 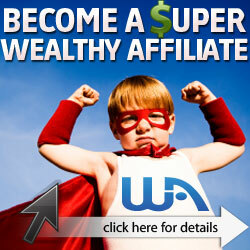 What I am also hoping to do is show you the ones that do pay in the world of online earning through links. and provide you with the one stop place for all your information! When you are considering starting an online company, you want to make sure you find the right product. What do you want to sell? What is your passion? What subject or topic do you have a lot of knowledge about? Let me start by telling you that selling an information product online is easier than selling a service. But, selling a service online makes more money with monthly memberships. Before you spend all your time working on a website and writing up eBooks, you want to be sure that your customers are going to be interested in what you are selling. Do your market research. Start by seeing how many competitors you have. Read through newsgroups, discussion boards, and chat rooms and learn about your target market customer base. 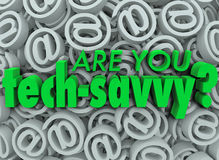 If you already have an email list, send them a survey to see what they are most interested in. When you are trying to make money through promoting articles and affiliate links, you will need a good, simple, and easy to navigate website to put them on. There are two ways that you can accomplish this: you can try to do it yourself if you have any web design skills or you can hire someone. There are plenty of free website building sites that make it a lot easier for those that don’t understand coding. Here is a few that help make building your own site a breeze. When a customer visits your website, you have roughly ten seconds to capture their attention, so you think carefully about what you want to include. Add interesting posts to entice your visitors to stay and read, and even add a call to action button to start building your email lists, making it easier to stay in touch with visitors and let them know about upcoming products or services available. For most people, affiliate programs will be their primary monetization method for their lists. There are two major categories of products you can promote as an affiliate – digital products and physical products. There are thousands of different programs you could promote in each market, with millions of individual products available. Well, that's it for the first step, I hope this has helped you and look forward to hearing any comments.